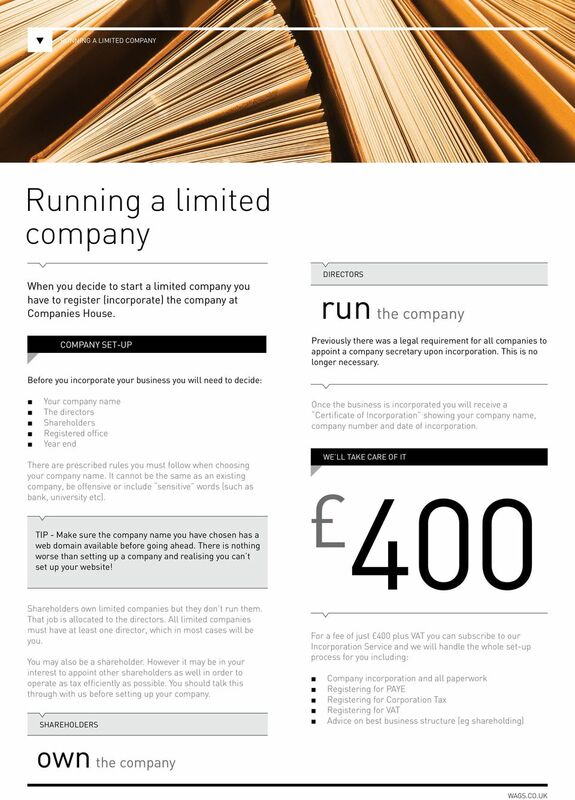 Download "Running a limited company"
1 01 RUNNING A LIMITED COMPANY CHARTERED ACCOUNTANTS Running a limited company Supportive. Effective. Efficient. Experts in tax and finance. 3 DIRECTORS RESPONSIBILITIES PAYE As a director of a limited company you have certain responsibilities of which you must be aware. Simply put, the main ones are: Always act in the best interest of the company The day-to-day running of the business Preparing and filing accounts and annual returns Reporting changes to Companies House You are also responsible for ensuring the company obeys the following laws/regulations: Tax Law Company Law Employment Law Health & Safety Law Data Protection Act Before you can pay yourself or any employees a salary you will need to register a PAYE scheme with HMRC. 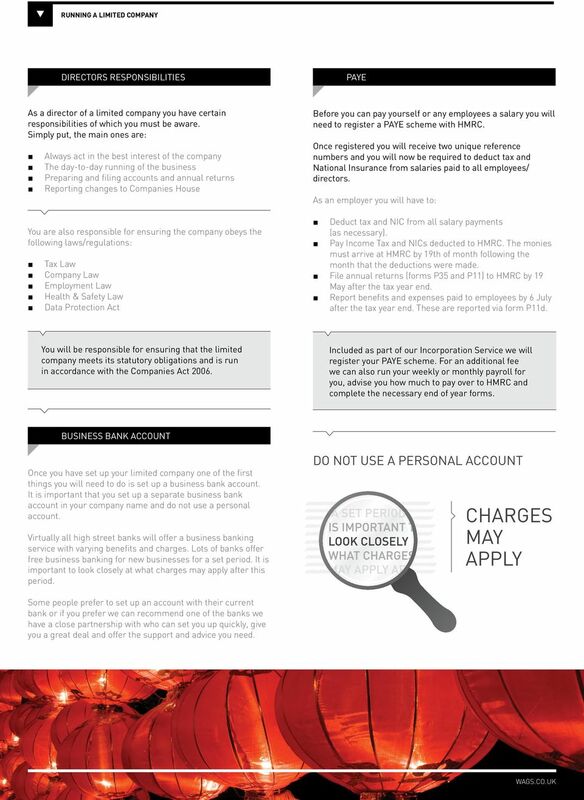 Once registered you will receive two unique reference numbers and you will now be required to deduct tax and National Insurance from salaries paid to all employees/ directors. As an employer you will have to: Deduct tax and NIC from all salary payments (as necessary). Pay Income Tax and NICs deducted to HMRC. The monies must arrive at HMRC by 19th of month following the month that the deductions were made. 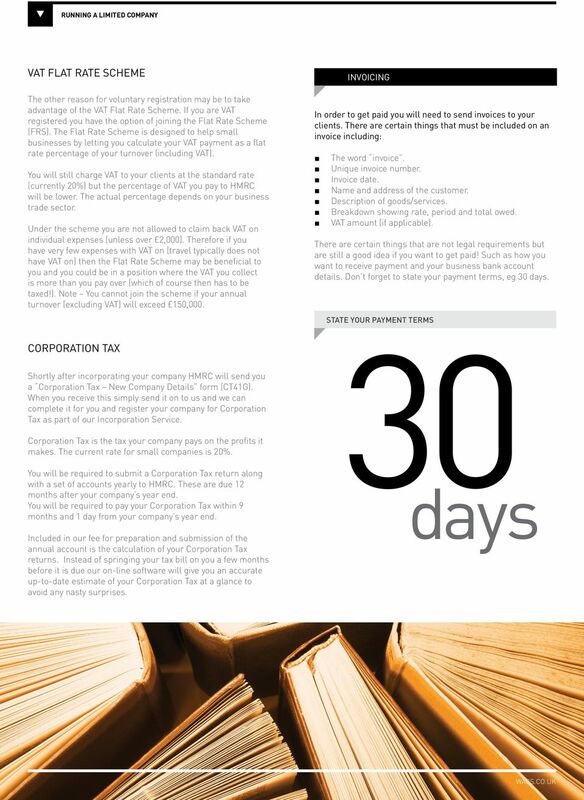 File annual returns (forms P35 and P11) to HMRC by 19 May after the tax year end. 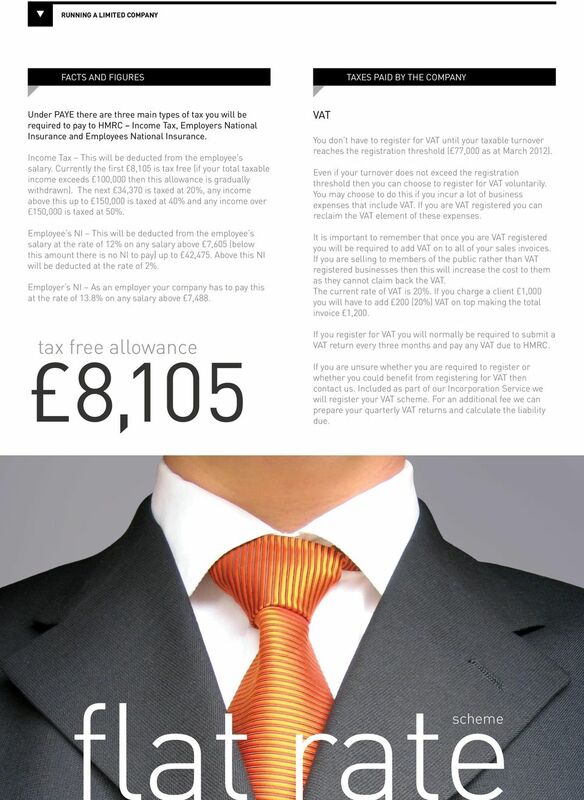 Report benefits and expenses paid to employees by 6 July after the tax year end. These are reported via form P11d. 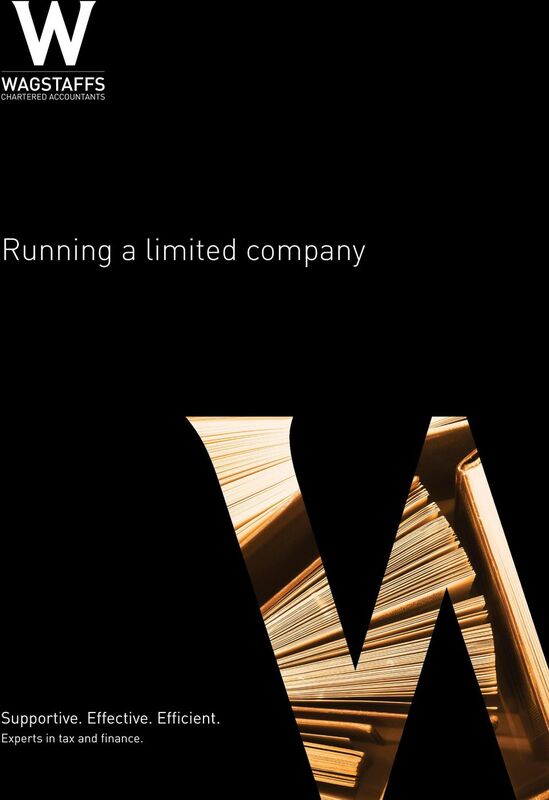 You will be responsible for ensuring that the limited company meets its statutory obligations and is run in accordance with the Companies Act Included as part of our Incorporation Service we will register your PAYE scheme. 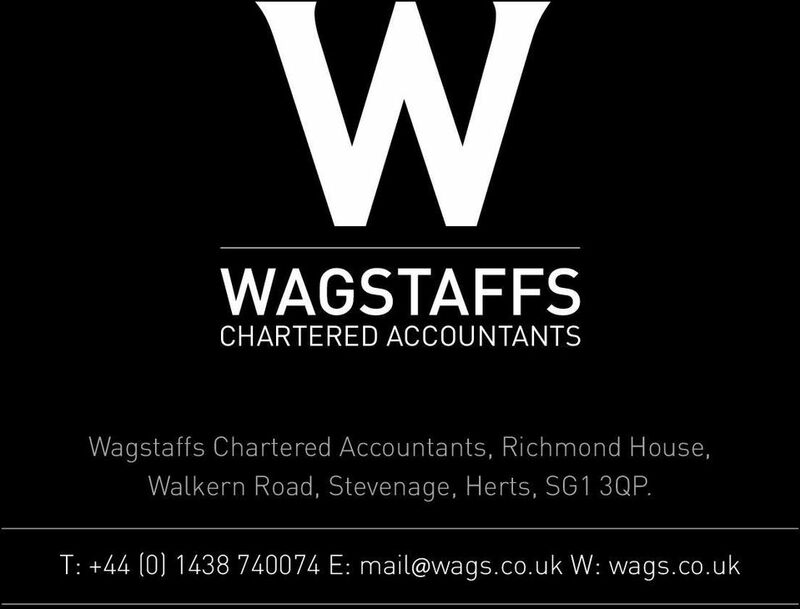 For an additional fee we can also run your weekly or monthly payroll for you, advise you how much to pay over to HMRC and complete the necessary end of year forms. BUSINESS BANK ACCOUNT Once you have set up your limited company one of the first things you will need to do is set up a business bank account. It is important that you set up a separate business bank account in your company name and do not use a personal account. Virtually all high street banks will offer a business banking service with varying benefits and charges. Lots of banks offer free business banking for new businesses for a set period. It is important to look closely at what charges may apply after this period. DO NOT USE A PERSONAL ACCOUNT CHARGES MAY APPLY Some people prefer to set up an account with their current bank or if you prefer we can recommend one of the banks we have a close partnership with who can set you up quickly, give you a great deal and offer the support and advice you need. 6 EXPENSES INSURANCE No matter what your business does you will incur some expenses as a result of running your business. You will only pay tax on your profit (income less expenses) so the more expenses you are able to claim the lower your tax bill. As a general rule if an expense has been wholly and exclusively incurred for carrying on and earning the profits of your business it will normally be allowable. It is important to remember that HMRC could ask you for proof of these expenses so it is important that you keep copies of all receipts. As a rough guide some of the typical expenses you can claim are: The three most common types of insurance required by Limited Company contractors are: Employer s Liability Insurance Protects against claims from employees injured due to an employer s negligence. This is a legal requirement for all businesses however there is an exception if the company only has 1 employee and that employee owns 50% or more of the shares, which will be the case for most of our clients. Public Liability Insurance Protects against injury caused to members of the public and damage to their property caused by your company/employees. Professional Indemnity Insurance Protects against claims where a client has suffered financial loss as a result of errors or negligence in the service you have provided. Business travel and subsistence including accommodation while away on business Accountancy fees Mobile telephone (if in the Company name) Postage and stationery Computer equipment and software Internet (not home broadband) Bank charges Pension contributions Books, publications and subscriptions to approved professional bodies Home office costs Other type of insurance Freelancer legal protection, Personal Accident and Contract Review. 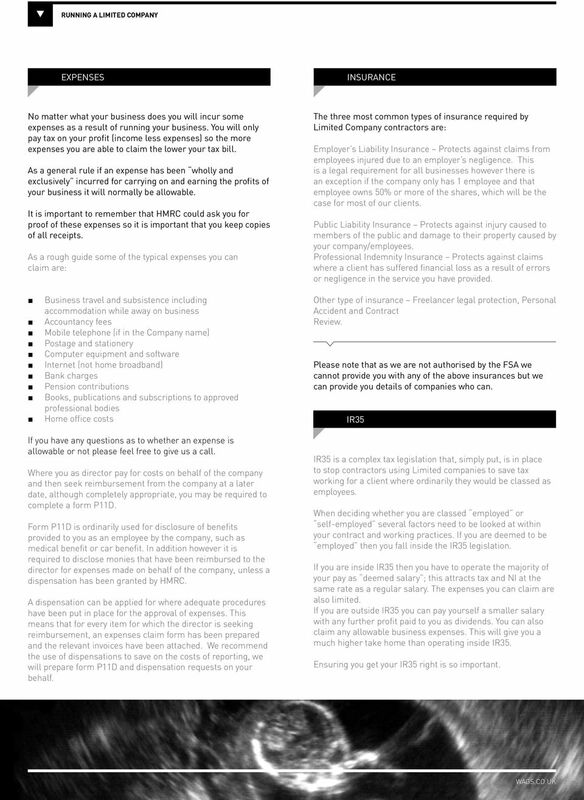 Please note that as we are not authorised by the FSA we cannot provide you with any of the above insurances but we can provide you details of companies who can. IR35 If you have any questions as to whether an expense is allowable or not please feel free to give us a call. Where you as director pay for costs on behalf of the company and then seek reimbursement from the company at a later date, although completely appropriate, you may be required to complete a form P11D. Form P11D is ordinarily used for disclosure of benefits provided to you as an employee by the company, such as medical benefit or car benefit. In addition however it is required to disclose monies that have been reimbursed to the director for expenses made on behalf of the company, unless a dispensation has been granted by HMRC. A dispensation can be applied for where adequate procedures have been put in place for the approval of expenses. This means that for every item for which the director is seeking reimbursement, an expenses claim form has been prepared and the relevant invoices have been attached. We recommend the use of dispensations to save on the costs of reporting, we will prepare form P11D and dispensation requests on your behalf. IR35 is a complex tax legislation that, simply put, is in place to stop contractors using Limited companies to save tax working for a client where ordinarily they would be classed as employees. When deciding whether you are classed employed or self-employed several factors need to be looked at within your contract and working practices. If you are deemed to be employed then you fall inside the IR35 legislation. If you are inside IR35 then you have to operate the majority of your pay as deemed salary ; this attracts tax and NI at the same rate as a regular salary. The expenses you can claim are also limited. If you are outside IR35 you can pay yourself a smaller salary with any further profit paid to you as dividends. You can also claim any allowable business expenses. This will give you a much higher take home than operating inside IR35. Ensuring you get your IR35 right is so important. 7 SALARY AND DIVIDENDS PERSONAL TAX Salary If you fall outside the IR35 legislation then the level of salary you pay yourself is completely up to you, and we can advise of the most efficient level of salary to pay. Dividends If you fall outside the IR35 legislation then you may pay yourself dividends. A dividend is a distribution of profits after Corporation Tax from the company to its shareholders. Before you declare a dividend you must make sure there is enough taxed profit in the company to do so (not simply enough money in the bank). After this the dividend can be paid providing all of the necessary paperwork has been completed. As your company pays Corporation Tax on its profits before a dividend is paid you will not have any tax to pay personally unless you are a higher rate tax payer. For 2012/13 that means your total gross income (gross salary, gross dividends and any other income) is above 42,475. If you are a higher rate tax payer you will have further tax to pay when you complete your self-assessment tax return each year. We can advise on an appropriate dividend level. 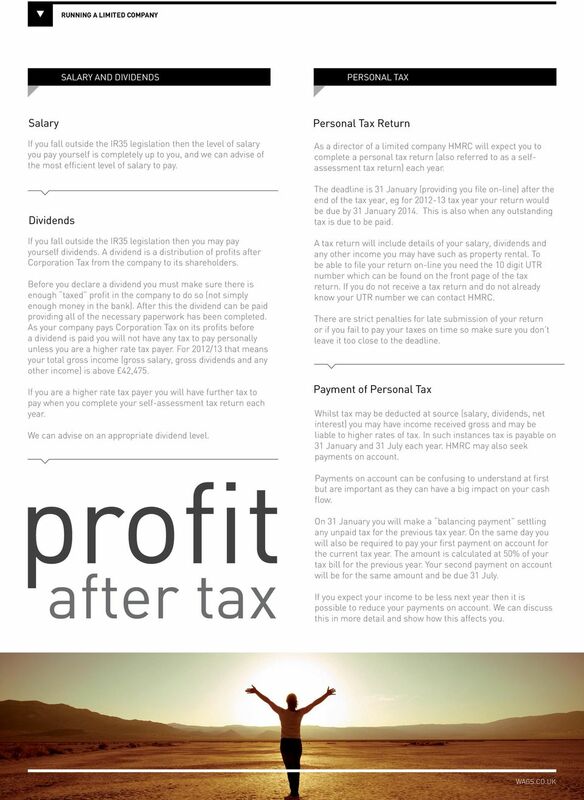 profit after tax Personal Tax Return As a director of a limited company HMRC will expect you to complete a personal tax return (also referred to as a selfassessment tax return) each year. The deadline is 31 January (providing you file on-line) after the end of the tax year, eg for tax year your return would be due by 31 January This is also when any outstanding tax is due to be paid. A tax return will include details of your salary, dividends and any other income you may have such as property rental. To be able to file your return on-line you need the 10 digit UTR number which can be found on the front page of the tax return. If you do not receive a tax return and do not already know your UTR number we can contact HMRC. There are strict penalties for late submission of your return or if you fail to pay your taxes on time so make sure you don t leave it too close to the deadline. Payment of Personal Tax Whilst tax may be deducted at source (salary, dividends, net interest) you may have income received gross and may be liable to higher rates of tax. In such instances tax is payable on 31 January and 31 July each year. HMRC may also seek payments on account. Payments on account can be confusing to understand at first but are important as they can have a big impact on your cash flow. 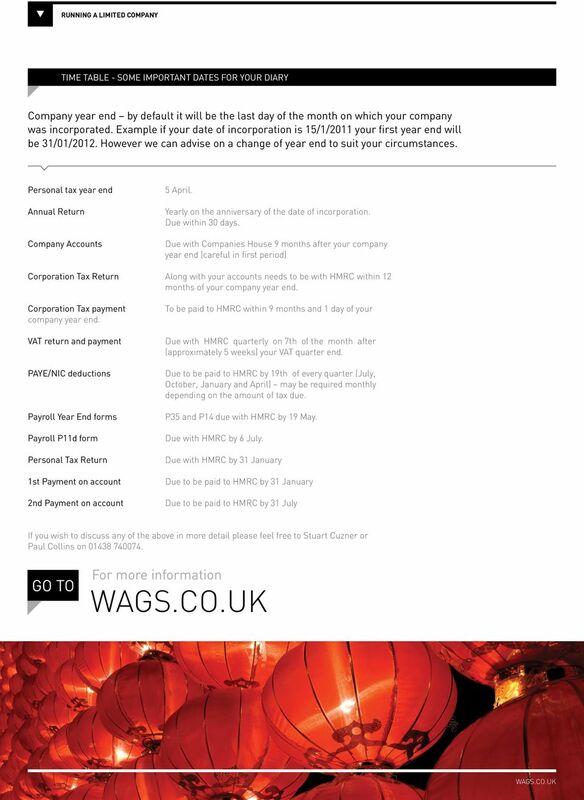 On 31 January you will make a balancing payment settling any unpaid tax for the previous tax year. On the same day you will also be required to pay your first payment on account for the current tax year. The amount is calculated at 50% of your tax bill for the previous year. Your second payment on account will be for the same amount and be due 31 July. If you expect your income to be less next year then it is possible to reduce your payments on account. We can discuss this in more detail and show how this affects you. Introduction to expenses One of the most common questions we get asked is what expenses can I claim through my limited company? In this month s enews we report on key announcements made in the Pre-Budget Report. What Can I Claim In Expenses?